This Week at the Café: Timeline Series - Wayback in 2000! It's Volume 7 in the timeline series. 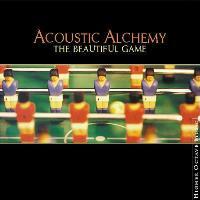 There was the opening of the London Eye, Bush vs. Gore, and the I Love You Virus - but our fond musical recollections of the year are highlighted by Louie Shelton, Acoustic Alchemy, and Marcos Ariel. Ah yes, it's Wayback in 2000! Also appearing on this retrospective edition are Gregg Karukas, Sam Cardon, Ken Navarro, Marc Antoine, 3rd Force and The Rippingtons. Moreover, we're featuring multiple appearances by Fridrik Karlsson (2), Chieli Minucci (3), Peter White (5), and Larry Carlton (2) in supporting roles and/or on their own! That's on the Y2K Wayback show! In spite of the fact he's not well-known outside of music circles, Louis Shelton has been integral to the pop scene for more than 40 years. Shelton first made his mark with the opening lines on the Monkees hit Last Train to Clarksville. He backed Barbara Streisand and Marvin Gaye while also contributing to the Jackson 5's "I Want You Back" He delivered the tasty licks on "Lowdown", the Boz Scaggs mega hit from 1976 while the list of artists that Louie has recorded with includes John Lennon, Whitney Houston, Diana Ross, James Brown, and Ella Fitzgerald. In fact Shelton's signature riffs have appeared on more hit records than any other session guitarist in history. 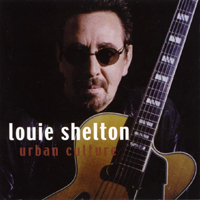 In addition, Louie played guitar on Seals & Crofts Summer Breeze and produced all eight of the duo's gold and platinum albums. In 1984 Louie and his family moved to Australia, after falling in love with the country while on vacation. He set up a studio overlooking Sydney Harbor only to return to the States, Nashville Tennessee to be exact, in 1996, in order to be closer to relatives who were experiencing failing health. Louie has since returned to Australia where he currently resides. Nonetheless, also in 1996, Shelton delivered a solid solo effort and for a period it appeared as though he was on his way to molding a career as a front man. Urban Culture released in the year 2000 was his third and arguably finest effort. We return now to that first-rate release, a project that coincides with the Music City USA phase of his career, for the selection Mandalay Sunset and one which features the soprano sax of Mark Douthit! A track that's all about the groove, this choice selection is our pick as the Y2K song of year; but regardless, it remains an all-time favourite! After studying in Munich and at Berklee in Boston, Thomas Fuchsberger for a time sessioned in Nashville Tennessee. Upon returning to Germany, he entered the competition Grand Prix de la Chanson where he reached the finals. Subsequently, Fuchsberger landed a record deal. All this led to a series of diverse releases and the establishment of a production studio. While writing ads for TV and scoring films and documentaries, Fuchsberger published a cook book for diabetics and travelled the world as a photographer of some repute. 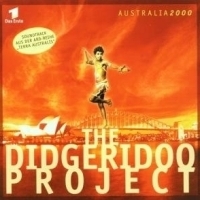 Nonetheless, a disc called Australia 2000 by The Didgeridoo Project was no doubt the most intriguing venture from an artist many consider a 20th century Renaissance man. Featuring Adrian Mears on didgeridoo, Jay Fletcher on guitar, and Fuchsberger on keys, the undertaking fused sounds of the Aboriginal instrument with some of the finest in Teutonically-inspired grooves. The soundtrack was used extensively on German TV during their coverage of the Olympic Games from Sydney Australia. Sadly, Fuchsberger passed away in 2010 at the age of 53. Nonetheless, the album remains perhaps his most engaging effort. From that release and an album unlike any other we have a rather hip amalgam entitled Didgerigroove! During the '80s and '90s, the duo of Greg Carmichael & the late Nick Webb produced a series of albums that met with the rare combination of critical acclaim while achieving commercial success. Throughout the period the combo thrived with a sound that remained innovative and fresh and one which helped define the burgeoning Smooth Jazz scene. After Webb's passing at the age of 43, it was left to Carmichael to pick up and carry the Alchemy torch. Rather than continuing with a familiar but albeit proven format, Carmichael chose to revamp the Alchemy line-up while charting a dramatic new direction. The band was expanded to include drummer Greg Grainger and bassist Frank Felix, who had long performed as back up at live gigs, while Miles Gilderdale was promoted to fellow front man. These changes resulted in an even broader range of musical expression as experimentation and diversity became key to the many albums they've recorded! So we now return to that inaugural project that marked a bold new direction and one worthy of consideration as top album for the year - from it we have a personal favorite…the exquisite Tête à Tête! In a career dating back to the 1970s, Marcos Ariel has long dedicated himself to promoting the music of his homeland. The Brazilian born keyboardist began piano at seven. He studied classically in his youth and as early as nine, he dreamed of recording on his own. His interests later broadened to include jazz and, while adding flute to his repertoire, he underwent intensive studies for the Brazilian Symphonic Orchestra. 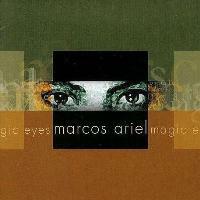 Afflicted with a passion for both classical and jazz related elements, Ariel began crossing musical frontiers with his first solo effort issued in 1986. A follow-up released a couple of years later led to international recognition, and through the years he's continued to enjoy a measure of success with each of his subsequent albums. In particular, My Only Passion issued in 1999 and Magic Eyes in 2000 proved among his most focused. From that latter release, we have a dynamic and daring sampling entitled Ipanema Café! Espirito is the duo of keyboardist Bill Sharpe and guitarist Fridrik Karlsson. Sharpe is well known on the contemporary scene for his many years with the group Shakatak (he was a founding member back in 1980), for his work with Gary Numan, and for various other projects too numerous to mention. For his part, Fridrik Karlsson has been a professional musician since the age of sixteen enjoying his first international success as a member of Iceland's Mezzoforte. The pair connected shortly after Karlsson relocated to the UK in 1996 and became the more or less permanent guitarist for Shakatak (the band were on the look out for a replacement when long time member, Keith Winter, was forced to leave the group due to a prolonged illness). 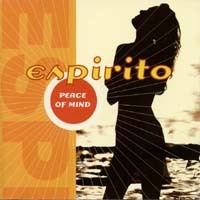 While each took part in many diverse projects, in the year 2000, they also took time for a full-blown collaboration as Espirito, their one and only such effort. The project bristles with as lush and delicious a set of tracks as you'll hear anywhere. Given a slightly freer radio climate, the cd would easily have been one of the year's best. Still, that makes our task all the more relevant; if everyone was onto great music such as this, our efforts would be redundant to say the least. In any event, as a footnote under the heading, "don't know what to make of this", neither Sharpe nor Karlsson make any mention of the Espirito project on their respective sites. Go Figure! Nevertheless, we present a track that literally sizzles! It was at the age of six, that Chieli Minucci was introduced to the piano by his father who also encouraged Chieli to try his hand at composing. However, by the time he turned 8, Chieli had fallen in love with the guitar & that became his instrument of choice. He formed his first band when he was 13 and then over the years but primarily while attending Ithaca College, Minucci developed a rather unique approach to the stringed apparatus. This was also a period during which he was also exposed to jazz. In 1982, Minucci connected with the late George Jinda & together they formed Special EFX. The pair recorded extensively and by the mid-90s they were riding a wave of popularity. It was right around then, that Chieli chose to also launch his solo career. Since that time, Minucci has developed into one of the most respected artist on the contemporary instrumental scene. He resurrected the Special EFX name in 1999 while spearheading several superb projects under his own name. In addition, Chieli has earned several Emmy nominations for his work on The Guiding Light and in fact he won an award back in 1998. He's written for and produced various artists, done a variety of session work, and has as continued his work with both Special EFX and on his own. We return now to one of his finest efforts and one we hope will make you feel the way the title suggests. It's called Breaking Away! Wayback in 2000 Continues: With Everette Harp and Tom Grant as well as Larry Carlton and Roger Smith, this boastful 3-hour set is replete with nearly 40 tracks and easily represents the most ambitious chapter in the Wayback saga!